I love this card. One of my fabulous team members, Roberta Miner, showed us how to make it at our most recent team meeting. 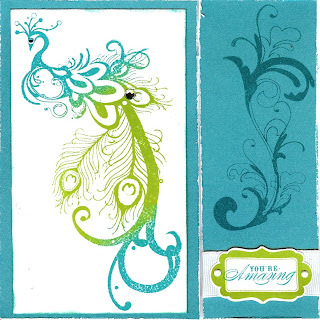 She used the new stamp set, Circle of Love with the new colors Pear and Lagoon. I also love the little jeweled accents (new Blue and Green Assortment Sparkles - just $2.95 for 108 self-adhesive blue and green rhinestones) that she added. 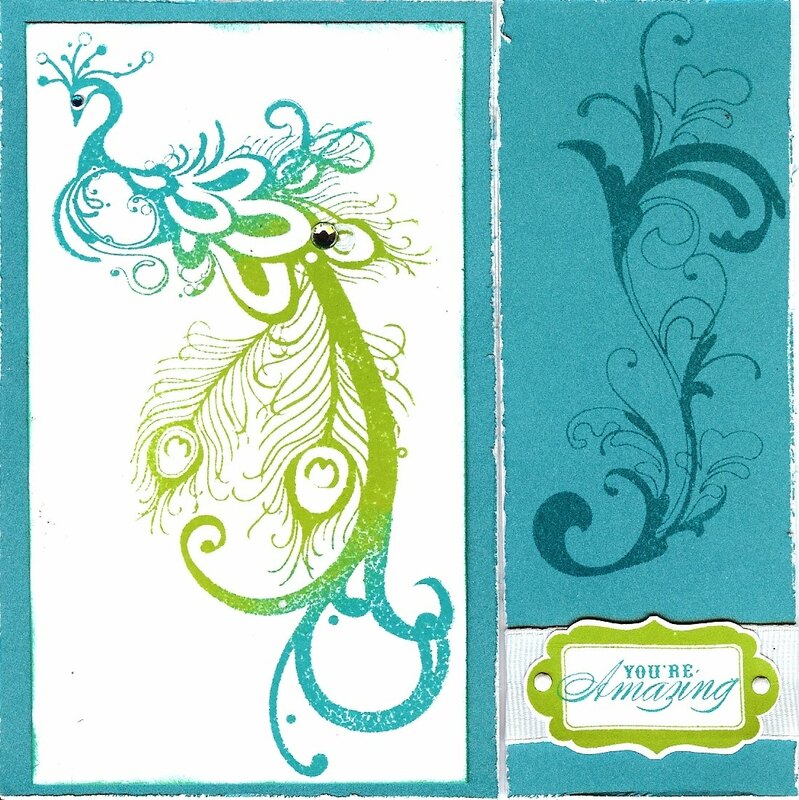 One way to get the 2-tone stamped image shown above is to ink up the stamp with the lighter color (first) then ink the rest of the stamp with the darker color. 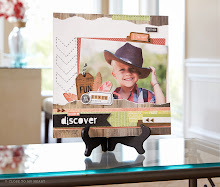 Before you stamp, use a sponge dauber to blend the two colors together.